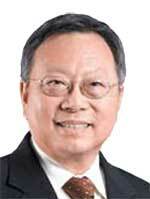 You are at:Home»Business»BizHive»Sarawak, the new frontier of growth? Sarawak, the new frontier of growth? The business landscape in Sarawak is changing. Whilst it is normal to see local businesses starting up and sustaining the mechanics of demand and supply for developing Sarawak’s economy, more and more companies from “across the sea” are also growing interested in taking a slice of this pie. In recent years, several public listed companies from the peninsula have been expanding their operations to Sarawak in search of greater development. With more business activities and growth opportunities happening throughout the state, is Sarawak becoming the new frontier of growth in Malaysia? For example, in November last year, Selangor-based Sentoria Group Bhd (Sentoria Group) had initiated a joint-ventured with Projek Bandar Samariang Sdn Bhd, a wholly-owned subsidiary of Cahya Mata Sarawak Bhd (CMS) to develop a resort city at Bandar Samariang known as Borneo Samariang Resort City (BSRC) over a ten-year period. 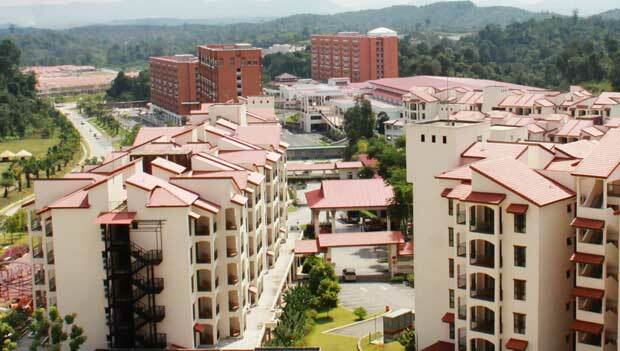 Sentoria is a well known operator of theme parks, hotels and property development. The resort and the property development which include commercial and urban housing projects is estimated to have a gross development value (GDV) of RM1.98 billion. At about the same time, Johor-based plantation company Kim Loong Resources Bhd (Kim Loong Resources) through its wholly-owned subsidiary Winsome Plantations Sdn Bhd had entered into a joint-venture (JV) agreement in November last year with Pelita Holdings Sdn Bhd to develop an oil palm plantation located at Pantu, Sri Aman. Commenting on the company’s venture to Sarawak, Kim Loong Resources executive chairman Gooi Seong Lim said, “Sarawak is the only state in Malaysia still having affordable land for oil palm estate development. “Rather than venturing to foreign countries, we believe in investing in our own country for the mutual benefits of our company as well as the natives of Sarawak. “As for our plantation landbank in Sri Aman, the gross development area approved by the state government is 10,471 hectares and to date, we have secured approximately 2,800 hectares of plantation landbank. “We have planted approximately 2,300 hectares out of which 800 hectares is matured,” he said. He revealed that the company’s immediate term strategy is to plant up its plantation landbank in Sarawak to supplement the production of fresh fruit bunches (FFB) of which Sarawak’s operation contributed less than five per cent to the total FFB production of the group. “We expect the FFB production for the group to grow from financial year 2014 (FY14) onwards. 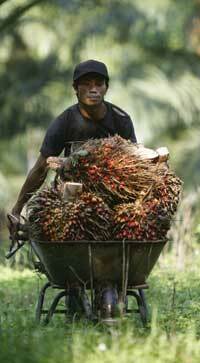 “The growth will arise from our young palms in Johor, new planting in Sarawak and replanting in Sabah. “We are still bullish on the future prospect of the oil palm industry in view of the high productivity, versatility and the established markets,” he added. On another note, Sentoria Group joint managing director Datuk Gan Kim Leong on the company’s expansion to Sarawak said, “Sentoria is always on the lookout for a good opportunity to expand our business. “It is also within our business plan to have our business expanded to different geographical areas in Malaysia. “Sarawak has so many natural attractions that attract lot of tourists, be them local or foreigners. “However, Sarawak has yet to have an international standard family oriented theme park for the enjoyment of the local population as well as the visiting tourists. Therefore, we feel that it is a good opportunity for us to fill that void,” he pointed out. While Sentoria Group and Kim Loong Resources are operating in diverse sectors, both companies have planned out comprehensive strategies to explore more growth opportunities in the land of the Hornbill. For one, Gooi outlined that the group will continue to look for opportunities to increase its ownership of land in Johor, Sabah, Sarawak and southern Pahang especially suitable land near its existing palm oil mills, through acquisition or joint venture to achieve sustainable and synergistic growth in revenue and profit. As for the operations of the group, Gooi foresees FFB production for FY14 to increase, projected to be 10 per cent higher than the FFB production harvested in FY13. He added downstream projects such as palm-pressed fibre oil extraction plant, kernel oil solvent extraction plant and biogas project undertaken by the group are expected to generate more than RM10 million in revenue. “We have installed the third biogas plant at our Telupid mill (in Sabah) and has successfully commissioned in April 2013. Gooi expected the first plant in Kota Tinggi mill to be operational sometime in FY14. “This project will be able to minimise disruption of power supply, even during low crops period/mill shut down for maintenance, to our downstream projects such as kernel crushing, solvent extraction, bio-fertiliser as well as staff and labour quarters,” he noted. Similarly, Kim Loong Resources in its latest corporate update said it had secured 2,846 hectares of land in Sarawak of which 2,230 hectares have been planted. The company added that it plans to develop the remaining plantable land within the next two to three years to boost its FFB production. Meanwhile, Gan believed that Sentoria Group’s role in building an international standard theme park is to complement the state’s existing tourism attractions. Gan noted that Sarawak is already a well-known tourist destination. He added “When the right opportunity arises and with the experience that we have in the development of a resort city, we believe that a new resort city, complete with theme parks and supporting facilities, would complement well with all the other natural attractions that Sarawak has to offer. “Sentoria would like to offer Sarawakians a chance to own and enjoy affordable resort style living. “With our sale and lease back scheme, the locals will have another investment opportunity for their consideration,” he said. He observed that besides giving locals a healthy lifestyle environment, the BSRC will also be able to tap on tourists visiting Sarawak. Gan explained that besides building theme parks, the group’s strength also lies with the construction of affordable houses. He noted that the company has good track record for building affordable houses in Kuantan, Pahang through several projects that the company has delivered. Those projects include Taman Indera Sempurna, Desa Hijauan, Taman Bukit Rangin 1 and Taman Bukit Rangin 2. He observed that Taman Indera Sempurna and Taman Bukit Rangin were fully taken up while Taman Bukit Rangin 2 has achieved 98 per cent take up rate within six months of the project being launched. As for BSRC, Gan noted that 200 acres of land in Bandar Samariang have been earmarked for resort development that will include a water theme park, safari park, river cruises, resort accommodation and meetings, incentives, conferences and exhibitions (MICE) facilities while 300 acres of land will be used for mixed development of commercial and urban housing. He explained, “Since CMS owns huge landbanks in Bandar Samariang, there development of a resort city there would assist in making Bandar Samariang a more attractive township for the people of Sarawak. “We foresee our role in the development of BSRC will be more of complementing, rather than competing with CMS in developing Bandar Samariang for the benefit of the people in Sarawak as a whole,” he noted. He further revealed that the development of BSRC is going to take place in stages beginning from the end of this year over an eight to 10 years period. Given the vast development going on througout the state especially with the Sarawak Corridor of Renewable Energy (SCORE) going into full swing in the next decade, major cities in Sarawak including Kuching, Sibu, Bintulu and Miri will witness more development coming up in the near future. Besides, more economic activities in the SCORE region will also open up new growth nodes and towns such as Samalaju, Tanjung Manis and Mukah. Recently, Felcra Bhd chairman Datuk Bung Moktar Radin during his visit to Mukah said the company plans to expand its development programme in Sarawak by seeking new land from the state government. Hereportedly said with the increase in hectarage, the company hoped that the extra landbank would boost the earnings of the settlers through cluster land development. “Under the programme, we can build houses, roads, have electricity and have an orderly development of the area,” he explained. Since Felcra’s operation in Sarawak 11 years ago, the company has succeeded in developing 50,000 hectares of land in the state, paying dividends of RM56 million to about 9,000 settlers under its development programme. While Felcra’s presence in Sarawak has been more than a decade, some companies which have also set up their branches and operations in Sarawak several years ago are looking to grow further here by capturing more sales. These include property developer IJM Land Bhd (IJM Land) and financial institution Malaysia Building Society Bhd (MBSB). IJM Land’s managing director and chief executive officer Datuk Soam Heng Choon said, “IJM Land has been involved in the property market in Kuching, Sarawak since the mid 90’s. “IJM Land group has two developments in Kuching, Sarawak. 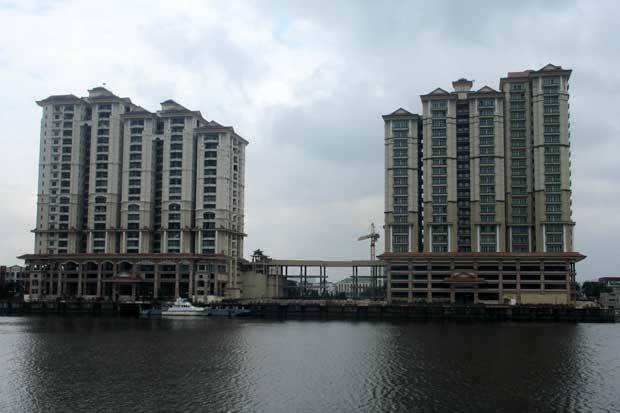 They are Kuching Riverine Resort, a four tower condominium development with direct frontage to the Sarawak River, whilst Yen Yen Park is a 626 unit landed mixed development project located at Jalan Matang, Kuching. “Being a true Malaysian developer, IJM Land has development projects in most of the capital cities in Malaysia. “Kuching is the centre of inward migration for work within the state of Sarawak where 200 government and federal agencies are located thereby creating a continuous demand for housing,” he said. On a banker’s front, MBSB president and chief executive officer Datuk Ahmad Zaini Othman said, “MBSB sees potential in both retail and corporate segments in East Malaysia particularly in Sarawak due to its positive economic growth and plenty of commercial activities. “The state has managed to attract many foreign investors which in turn have contributed further to a thriving economy. “With active participation from the government and private sectors, it is only advantageous to MBSB that it participates in the state’s economy,” he said. He further elaborated that for corporate business, MBSB’s strategy is to participate in the plantation, infrastructure and education sectors while remain actively involved in the oil and gas and property development sectors. He revealed that at present, the company has established many tie-ups with renowned local developers and oil and gas players. As more development are to be taken place in Sarawak, those companies have drawn out their ‘roadmap’ to further generate more income from their projects and ventures in the state and throughout the whole country. Soam said IJM Land has pioneered condominium developments in the growing market of Kuching, Sarawak, with the landmark Kuching Riverine Resort project. He revealed that the RM450 million project comprises four condominium towers. He added that the second phase, Riverine Sapphire, consisting of 168 units has recently been completed and the third phase, Riverine Diamond, consisting of 312 units of condominium will be launched soon. Soam also said IJM Land has recently completed 44 units of double storey semi-detached houses at Yen Yen Park, Jalan Matang, Kuching. He noted the project is more than 60 per cent sold and is ready for immediate occupancy. “In Sabah, IJM Land is one of the leading developers in Sandakan with its flagship project known as 395 acres Bandar Utama township. “Apart from Bandar Utama, IJM Land has another 170 acres of landbank in Sandakan. “In addition to Sandakan, IJM Land is targeting to launch a 96 unit luxury condominium project called Sky Mansion in Likas, Kota Kinabalu, Sabah. “This project is sited on elevated ground with a panoramic view of the Kota Kinabalu city centre and Likas Bay. “BBesides that) IJM Land is expected to launch RM3 billion worth of projects in Penang, the Klang Valley, Johor, Sabah and Sarawak this year, comprising commercial and residential developments,” he revealed. As for the company’s financial performance, Soam believed that it will be another breakthrough year for the company. “The financial year ending March 31, 2014 will be another record breaking year for IJM Land in terms of presales, revenue and profit. “In fact, for the first nine months of the current financial year, IJM Land has already surpassed our previous financial year presales, revenue and profit. “For the nine months ended December 31, 2013, IJM Land has recorded RM2.3 billion in presales, RM1.36 billion in revenue and RM382 million in profit before tax,” he pointed out. As for MBSB, Ahmad Zaini said, “Our strategy encompasses of making a footprint in palm oil plantation and oil and gas sectors as well as industrial hire purchase. “This also includes creation of commercial business and Bumiputera Development Division focusing on contract financing particularly for projects that are awarded by the State Government,” he said. He added that at the company level, MBSB expects an overall loan growth from 10 per cent to 12 per cent in 2014. He observed that the target could be achieved due to encouraging support from both retail and corporate segments. Additionally, he pointed out that new initiatives such as palm oil plantation financing that will be introduced in the second quarter of this year is also expected to contribute to corporate business revenue. Thus far, he observed MBSB’s financing business in East Malaysia and Sarawak has shown an encouraging performance. “With the state economic continues to grow, MBSB is optimistic to progressively support the active economic and commercial activities in Sarawak. “We have launched our sales and service centres in strategic areas across Sarawak to meet the local financial demands,” Ahmad Zaini revealed. Moreover, Ahmad Zaini noted that at present, MBSB has a network of 45 sales and service centres (SSC) and 12 representatives offices nationwide. He added that in Sabah, MBSB has five SSC and one representative office whilst in Sarawak, the company has five SSC and two representative offices. Going forward, the financial institution plans to open one more SSC in Labuan by this year. He noted that the contribution of the company’s East Malaysia operations to the group level has showed good progress with a steady growth over the years. Ahmad Zaini believed that the development would not have been possible without the strong support from its local corporate partners and depositors. Moving on, Gan of Sentoria Group said BSRC, a mammoth project which is a replica of its successful Bukit Gambang Resort City (BGRC) will be a steady recurring income generator once it is fully developed. He said “Other than the revenue generated from the sale of properties, we are also expecting to have recurring income from our resort. “Just like BGRC, which is currently contributing about RM40 million to RM50 million revenue to the group through recurring income, BSRC is also expected to generate around the same figure to the group’s revenue (in the future). “The revenue is expected to increase further when BSRC becomes more popular amongst local and foreign tourists,” he said. As a general guide, he noted that Sentoria Group is always targetting a 25 per cent growth in its business for both topline and bottomline on a yearly basis. He said as at end of FY13, the company has an unbilled sales amounting to RM164 million. He added that the amount are mainly from its on-going housing projects in Kuantan, Pahang and Selangor which are expected to be completed by the end of 2014. Furthermore, he noted that Sentoria Group will also be launching another affordable housing project that covers 80 acres of land located across its BGRC with a GDV of around RM160 million this year. As more companies are seeking to ventures into Sarawak, the economy in Sarawak will be booming with more businesses and development. This is expected to provide more jobs and income to the locals as well as better standard of living. Certainly, the decision made by Sentoria Group and Kim Loong Resources to expand their operations here will assist to boost the local economy which will in the end benefit Sarawakians. At the same time, the state government’s vision to develop SCORE will also attract investors particularly foreign investors to expand their manufacturing plants to participate in the development of resource-based and energy-intensive industries in Sarawak. Those industries include aluminium, glass, oil-based, steel, palm oil, fishing and aquaculture, livestock, timber-based, marine engineering and tourism. Going forward, construction activities in the SCORE region will witness more developments and progress. On that note, another peninsula-based company TRC Synergy Bhd (TRC Synergy) which has participated in the road construction works in Sarawak will also gain from the higher momentum of construction works in SCORE. The company is the contractor for the interim port facility package worth RM194 million under the RM1.8 billion Samalaju Port development. The construction company, through its wholly-owned subsidiary Trans Resources Corporation Sdn Bhd had in January last year secured a contract for the Sangan-Kapit road construction in Sarawak worth RM170 million. At the same time, SCORE has attracted more than RM29 billion in private investments as at November last year and RM9.4 billion or 32 per cent of that amount has been realised. The research firm observed that Samalaju, near Bintulu is the most advanced areas of the five growth nodes which include Tanjung Manis, Mukah, Baram and Tunoh under SCORE. With the development of Samalaju Industrial Park (SIP) which was reportedly progressing on schedule, Bintulu town will also be another catalyst town for growth towards becoming a city in the future. This will spur developments in other smaller towns and enable Sarawak to speed up development in the rural areas. To round it up, more developments coming up in Sarawak will generate higher income to the people which in turn will generate a vibrant and sustainable economy for the state in the long term.